Metso announced on January 22, 2014 the decision to invest in a new greenfield Neles® globe valve technology center in South Korea. 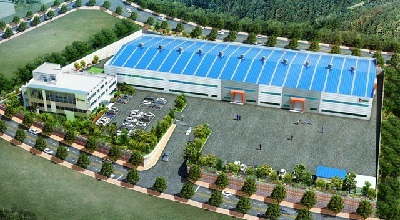 The groundbreaking ceremony for the new plant was celebrated today in Chung-Ju, South Korea. The new factory will be ready for global deliveries during the last quarter of 2014. The new plant will serve oil & gas and power customers both locally and globally and will strengthen service capabilities in the growing Asian markets. The new technology center consists of manufacturing, state-of-the-art control valve testing facilities, research and development, laboratory, engineering, and service support units for South Korean EPC companies. "The new technology center in South Korea will strengthen our capabilities to develop, produce and deliver our globe valves especially for customers in the oil and gas and the power industries. The South Korean EPC companies play an important role in many customer projects worldwide. Within the new facility we can better offer research and development, engineering and service support for them," says Markus Hauhia, Director, Globe Valve product line, Automation. Today, Metso's control valve range is the most comprehensive on the market. It includes globe valves, top entry rotary valves, triple eccentric disc valves, eccentric rotary plug valves, and segment valves. The portfolio covers products suitable for every application - from general to severe service and from low temperature or pressure to high temperature or pressure. Conceptual drawing of the new Neles® globe valve technology center in South Korea. The new factory will be ready for global deliveries during the last quarter of 2014. Metso has a total of eight valve technology centers around the world. The investment made in South Korea continues Metso's strategy to strengthen valve operations globally. In 2011 Metso opened a new world-class valve technology center in Vantaa, Finland, and in 2010 in Shanghai, China. The company is currently expanding its valve production facilities in the US in Shrewsbury, Massachusetts. Metso also has first-rate valve production facilities in Fergus Falls, Minnesota, and in Horgau Germany. The modern valve supply and service centers in Sorocaba, Brazil, and in Vadodara, India, serve customers in the specific country and region. Metso has a long track record of delivering engineered performance and reliability to the oil & gas industry through its leading product brands - Neles®, Jamesbury® and Mapag®. Metso has delivered millions of valves, control valves, and on-off valves globally for more than 90 years and has become a leading supplier of intelligent valve controllers. Metso's offering of valve technology and services can maximize production efficiency and reduce safety risks throughout the life cycle of a plant - from simplifying valve selection to improving process availability, cutting valve maintenance and repair costs, and maximizing production performance. In addition, Metso's Device Management Solution helps to reduce capital costs and to cut operational costs. The Device Management Solution is a simplified operation with fixed response and delivery times to reduce purchase efforts and to secure high quality repairs. Today Metso has over 55 service centers, 35 valve hubs and over 1,000 service professionals serving automation customers around the world. Photo 1: Conceptual drawing of the new Neles® globe valve technology center in South Korea. 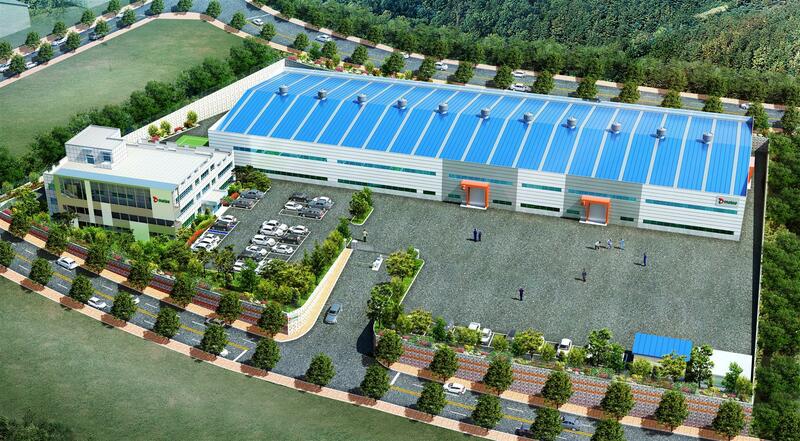 The new factory will be ready for global deliveries during the last quarter of 2014.